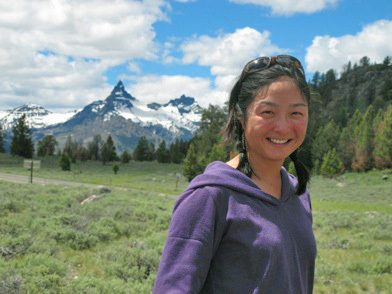 "My research spans across biogeochemistry, paleontology, and ecology. I ask questions to better understand ecological & evolutionary responses to environmental change on a variety of time scales." We were extremely interested in Dr. Kim's research and insight into the feeding behavior of Great White Sharks along the California coast. Below are a few questions posed to her by Adam Hecht. Q. What is your primary special area of marine biology expertise? A: I'm an interdiscplinary researcher. I'm a hybrid marine biologist bio-geochemist. Q. Are you currently engaged in elasmobranch field research? Bench research? Can we cite any recent publications? What are they? A: Most of what I do is biochemistry. Most of my shark research has to do with modern species that are alive right now. My background is primarily biogeochemistry. Q. It seems that after the passage of AB 376 here in California, awareness about finning increased and the momentum has continued and now has reached a global platform. What have been your observations? A: More people have become aware of shark fining practices in the last ten years. In 2005, I did field work in Baja California Sur. I heard from graduate students that a shark fishery there closed for a few months out of the year. I think that it is due to public pressure. Not necessarily Baja California Sur but due to a larger scale. Q. Are you concerned about global shark populations? A: Yes. There have been studies done in the past 5-7 years on the populations of the larger sharks showing that larger sharks are being decimated; especially areas that have fisheries. A study done in 2006 shown, that the apex predator populations are declining while the smaller sharks have been increasing. Q: What do you think is the single greatest threat facing sharks today? A: I think it is a variety of things. Part of it is direct fishing pressure on sharks, habitat destruction and climate change. As humans, we are destroying shark habitats at such a rapid pace, who knows if sharks will be able to cope with that. Q: Are unprovoked attacks due to an increased shark population? A decrease in natural food sources? A: I don't think we have a good handle on the great white shark population numbers are off the California Coast. From the literature I read, there are more sightings because there are more people today along the California coast compared to the 1970s. People are spending more time in the water, there are more boats in the water. As a result, more people are keeping an eye out for sharks. I have to hesitate to say that the white shark population is in fact increasing. I recently published a paper that was featured in the San Francisco Chronicle showing that sharks diet is quite varied. We have this idea that all sharks eat mammals such as seals and seal lions for part of the year. From the results of the study, they actually have a diverse diet. They also feed on fish and squid. Another aspect of the study is that we looked 15 different sharks throughout their lifetime by looking at their isotopic levels. We were able to take a snap shot of their diet by year. There is a slight increase in their isotopic levels after 1986. 1986 is when marine mammals at least doubled since 1972. In 1972, the Marine Mammal Protection Act was passed which made it illegal for fisherman to hunt seal and seal lions. Those populations did increase. The diet didn't shift very much. I don't think their natural food sources are declining given that marine mammals are protected under law. Through the years marine mammal populations have held steady or increased. Q: Are humans on the great white shark diet? A: No, White Sharks have evolved at least 10 million years ago. Where humans fit in on that time scale is just a blip. If you look at a lot of the shark attack reports, usually humans are bitten but not eaten. Humans are not on the diet of a great white shark. Q: You must receive many questions about shark. What do you see as the top misconceptions? A: People view them as a vicious apex predatory. I do not think that's true at all. I think that has been spread by the popular media. Also, their is a misconception that all white sharks are apex predators. From our research, it appears that some are content eating fish and squid. They don't necessarily have to eat at the top of the food chain. Often times all sharks are considered equal. That is not true. Different sharks play different roles in the ecosystem. There is still alot in shark ecology that is unknown including what they are eating, where they are going and the population numbers. White sharks are a head of the curve in terms of what we know because they are so popular and people are interested in them. Below please find an abstract of Dr. Kim's original Great White Shark diet and movement study. To read the entire journal publication, please click on hyperlink.